Woo, has this year has flown by or what? 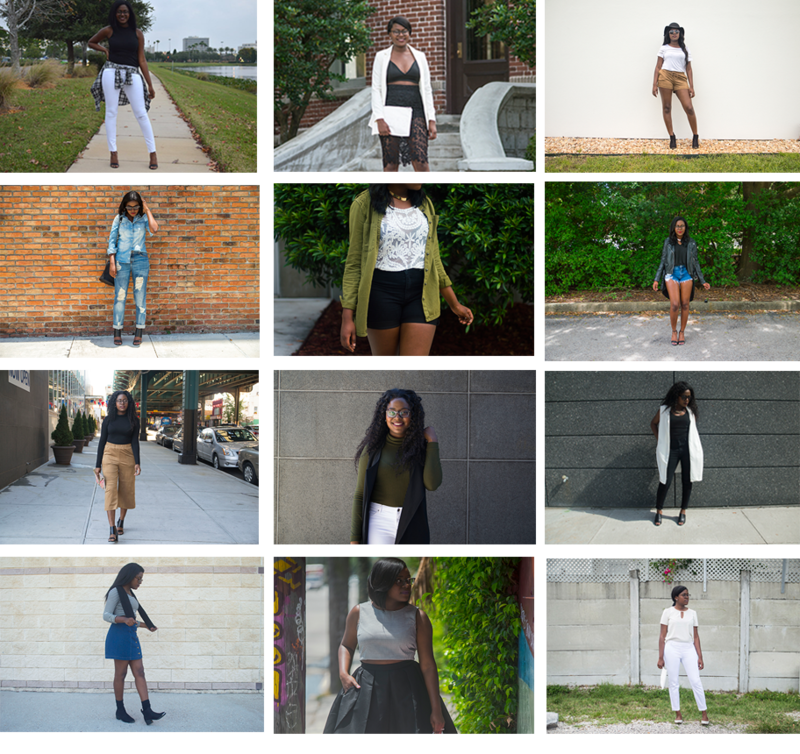 I remember just last year I was putting together my outfit recap and reviewing my style for 2014. As I look at my outfits that I’ve worn this past year I definetly see my style evolving and heading into the direction that I ultimately would like it to be. Lets just say, if Claire Sulmers from Fashion Bomb Daily had to describe my style I would want her to use the words Chic, simplistic, and minimalistic (#futuregoals). I’ve probably stated this a million times but I now have a minimalistic mindset so as you can see this year I stuck to wearing staple pieces that are in colors that are more on the neutral side. Although I only showcased a few looks this year, I hope that after viewing these posts you have enjoyed them and even utilized a trick or two that I provided you with. Something new that I plan on doing each year (and you should too) is creating a style goal for the upcoming year. Personally, I’ve gotten to the point where I am ready to take my style up a notch and take more fashion risks. Experimenting with different fabrics, manipulating pieces to create an ideal look, and sewing (Can you say more DIYs?) are a few goals that I plan on putting into action in 2016.